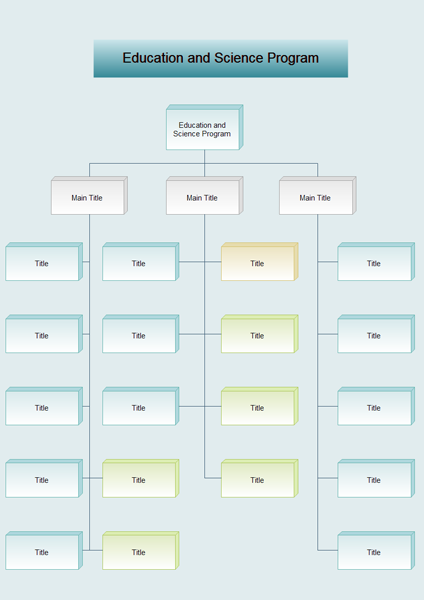 In this article you can see some of the top school organization chart examples of educational institutions. Simply click on any of them to see more details. 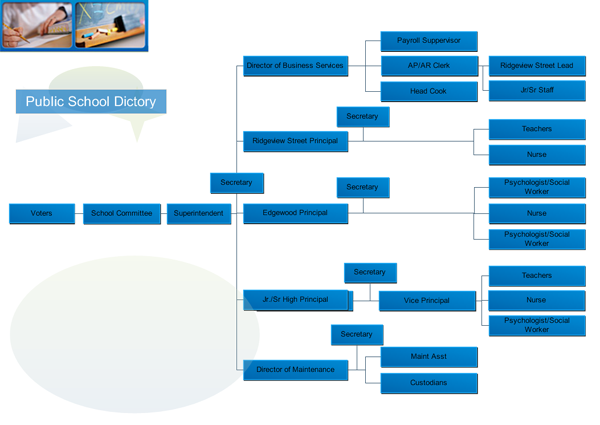 The following are some clear and comprehensive school organizational charts, which offer an ideal way to illustrate the inner structure and hierarchy within an educational organization. 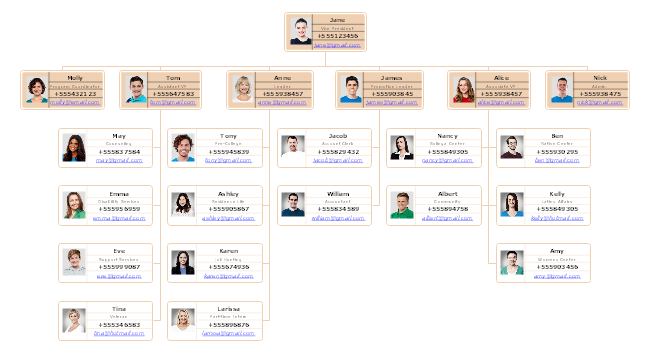 Furthermore, you can use some great organizational chart software to create and visualize well-structured school organizational charts, educational organizational charts, and public-institution organizational charts etc. If you have joined your collage or university student union or some other societies, you may find a student union org chart with photos would help you a lot. For example, you could easily contact other members by checking their mobile No. or emails. Besides, photo org charts are also a great way to network new friends. A typical educational group organization may include many sub-departments, academic centers or international offices etc. Such organizations not only offer pre-collage courses, but also post-graduate training options like job hunting skills or language learning schemes. 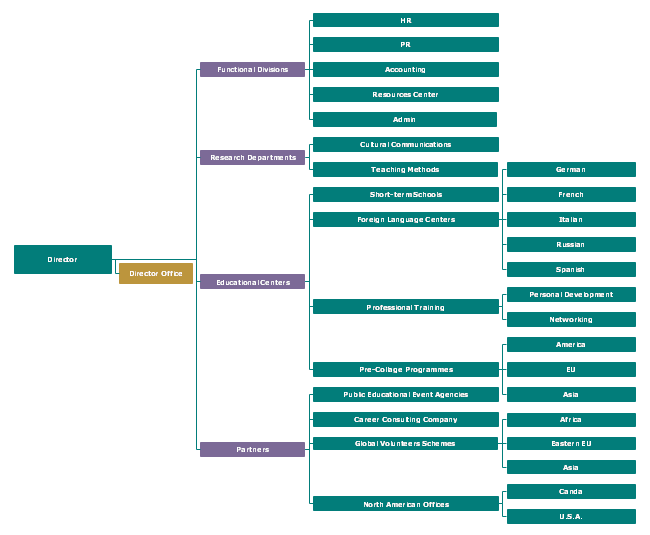 Here is another alternative to public school organizational chart example. It involves a number of secretaries, directors, teaching staffs and more. This one here can be used for showing the structure of science educational institutions. You can add more sub-divisions or inserting more assistants. 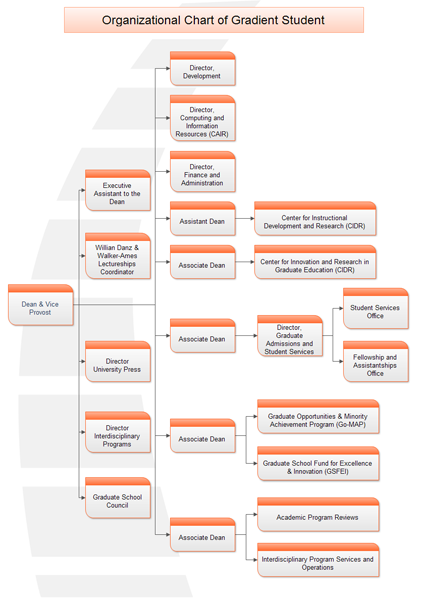 This is an organizational chart of graduate student. The management level is formed by some Coordinators and Directors. You can also see different programs for various fields and subjects.